Depending on the delivery time, delivery date and chosen country, your order will be delivered by a professional local florist or prepared in one of our own or affiliated flower shops. The delivery charge is not included in the product price, but is added during the checkout process and appears in the price breakdown. We will always do our best to deliver your gift at the selected delivery time. In some countries you will be given the option of a morning or afternoon delivery. If for whatever reason, your selected date is a Bank Holiday, your gift will be delivered on the next available working day. Orders sent to hospitals, hotels, residential homes, companies, universities or public buildings can only be guaranteed if you provide full delivery information including a contact person and a contact telephone number for the requested delivery establishment. In the case of hospitals, we will need the recipient’s ward and room number. Please note that some wards do not allow flower and other deliveries. In this case, the flowers will be left in the nurses facility and the recipient notified if you have provided us with a mobile telephone number. Please check with the hospital before placing your order. If the recipient is staying at someone else’s home and it will be necessary to know the name of this person/name on the doorbell. Please make sure to provide us with this information. Please keep in mind we can not deliver to a PO BOX, in these cases we will ask you to provide us with an alternative address. LaFlora.com s.r.o. cannot issue a refund if a delivery cannot be made due to these circumstances. You will be able to change the delivery address, card message and delivery date. You should make these changes at least two business days before the chosen delivery date. If you cancel your order at least two business days prior to the scheduled delivery date, you will be entitled to a full refund. If the order is cancelled less than two business days prior to the delivery date, no refund will be issued. You can use the Additional Information box in the checkout process to provide more details about the order. Products only contain the items listed in the descriptions. Vases and other items are not included, unless explicitly stated in the product description. Photographs of flower bouquets represent the Large bouquet size. From time to time, some items listed in the product description may not be in stock and substitutions of items of equal or greater value will be necessary. Should the main flower type in the bouquet have to be replaced, we will attempt to notify you; if we are unable to reach you, we will proceed with the substitution to prevent delays in the order delivery. Roses, however, will never be substituted with other flowers without requesting your confirmation first. At the same time, please note that if we do not hear from you within 24h from our first email we will proceed with delivery of your order to avoid further delays. We will substitute them with flowers of the same or greater value. We may make changes to the colour of the flowers, but will maintain the overall shades of the bouquet displayed on the website. Moreover, we cannot guarantee that the colour shade will perfectly match the one shown in the picture. In the event of more extreme colour changes, we will attempt to contact you to inform you. However, if we are unable to reach you, we will proceed with the colour substitution to prevent delays in the order delivery. The only exception comes with a red roses arrangement, when we will wait for you to get back to us before we proceed. If you are not satisfied with the quality of your order, you may request a refund within 24 hours after delivery and we will always investigate your claim thoroughly. Your satisfaction is paramount to us and provided your claim is valid, we will issue a refund immediately. Please always take photographs of the bouquet to validate your claim. In the event of non delivery claims or missing products, we will issue a refund within 24 hours. These claims must be submitted within 5 days of the request delivery date. If we are unable to deliver your order on the selected date due to circumstances within our control, you will be entitled to a refund of the value of the flowers. If, on the other hand, we are unable to make a delivery due to circumstances beyond our control (for instance, the recipient is not at home), you will not be entitled to a refund. Nevertheless, should the recipient be unavailable when we attempt delivery, we generally leave a note or call to schedule a new delivery time. We will not be liable if your order cannot be delivered due to incorrect or incomplete delivery information, and you will therefore not be entitled to a refund. 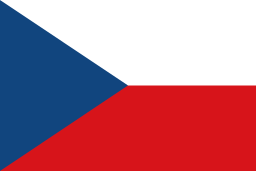 Though there is the option of viewing the product price in other currencies, orders will always be charged in CZK. In periods such as Valentine’s Day, Mother’s Day or International Women’s Day, delivery times cannot be guaranteed but orders to corporate or business addresses will be delivered within normal business hours.